Christmas mood is everywhere and everybody is getting ready to celebrate it. But don’t forget to dress up your pets for the holidays. 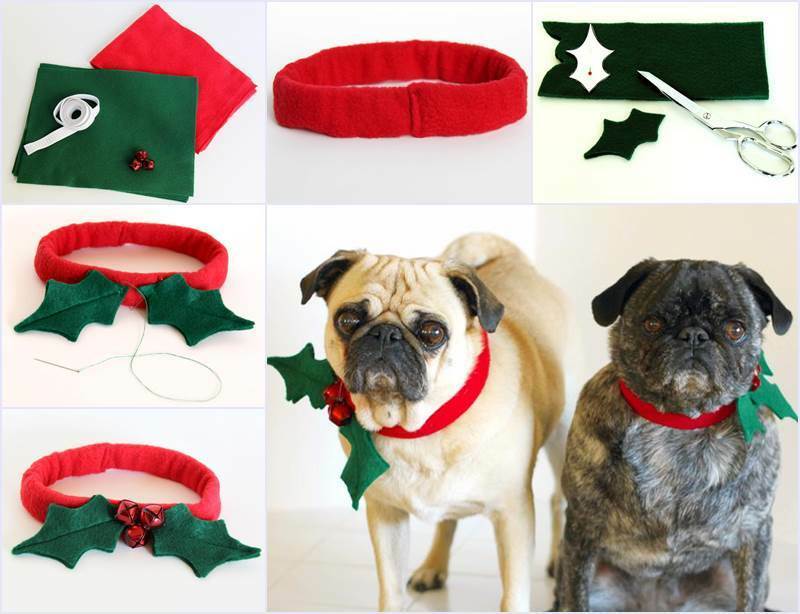 I am excited to feature this easy DIY project to make a Christmas dog collar. Don’t they look cute in these holly-leaf collars? The dog collars require very simple materials and little sewing skill. Get the whole family (including your furry members) into the holiday spirit with this fun and festive homemade dog collar. Don’t forget to take the holiday photo shoots!